The season of humidity is almost over and Monica from Friends has got nothing on me, on the days that I can't be bothered to brush my hair it's like a lion has taken my place. As you know, I've been trying lots of hair masks and products to tame my dry locks and give me a more sleek finish. 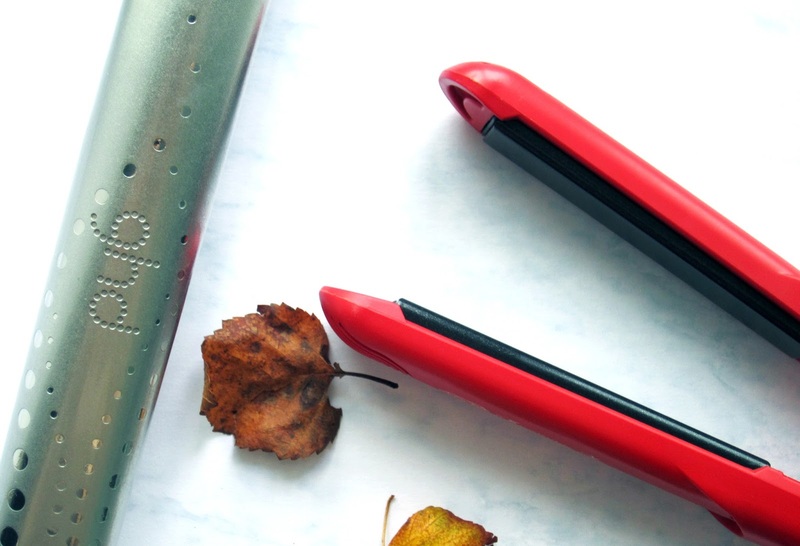 For styling, GHD straighteners are what I use on the regs when I'm at home- the brand has become famous for just how brilliant their straighteners are so when Irresistible Me sent me their flat iron to use, I needed to see if it was worth making the switch! 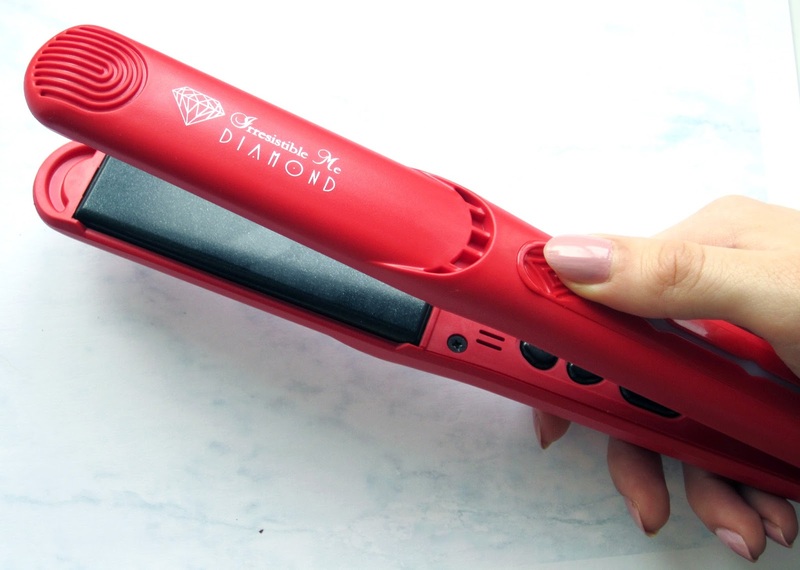 The first noticeable thing about Diamond Flat Iron is the striking pin-up red that they come in. 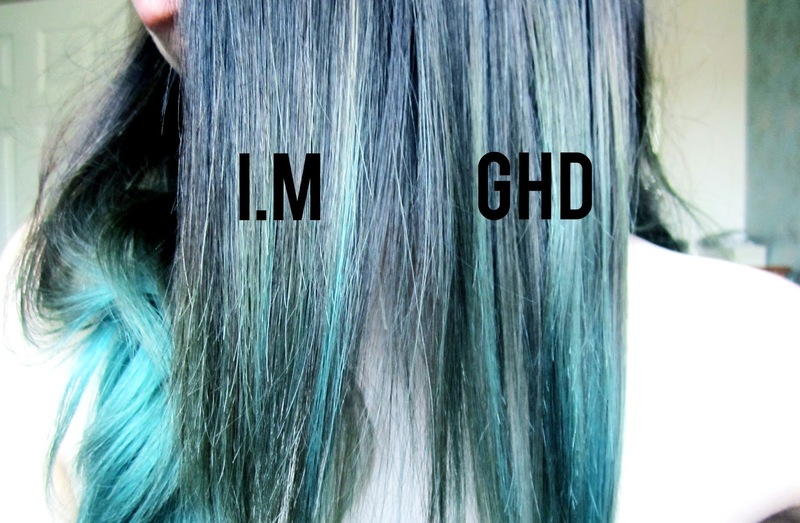 Obviously this has nothing to do with their functionality but how gorgeous is this colour? I'd love if they came in some other colours too, to match my Autumn homeware! They're ergonomic, with a perfectly placed grippy thumb pad for grip and the tips are cooler than GHD's so you can really pinch your hair between the plates without getting hurt. They ends of the straighteners are further away from the plates than GHD's which means that you won't accidentally pinch the hot plates instead (yay, you get to keep your fingerprints!). 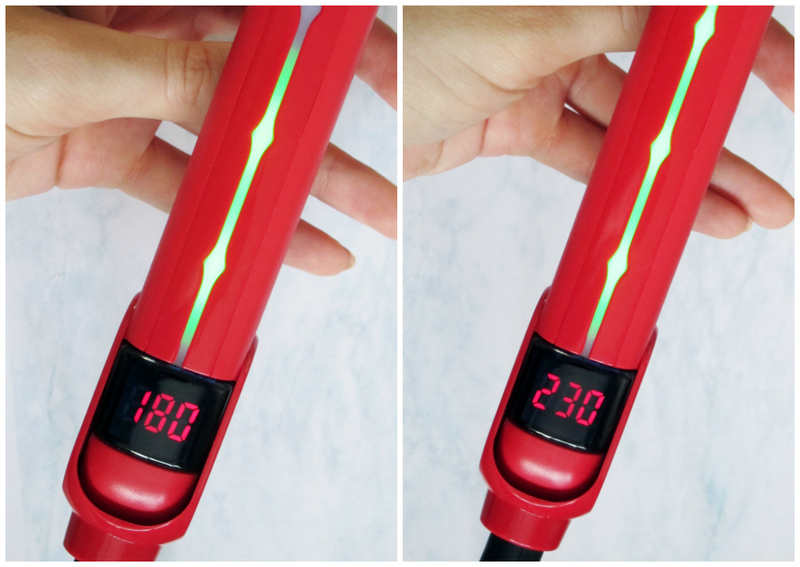 Unlike GHD's, where there's a simple on and off switch (I think their temperature is around 200 degrees or a little more) I.M's straighteners have temperature control from 150-230 degrees celcius. 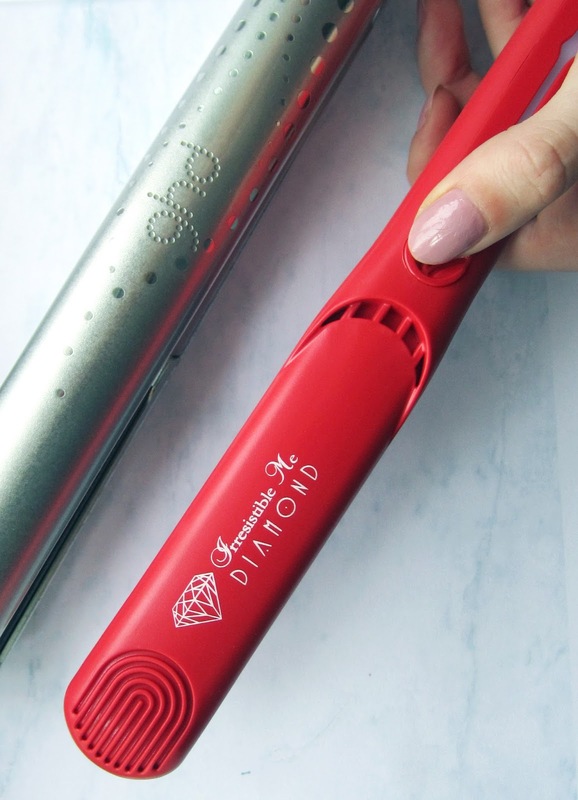 I tested both of these on the default of 200 degrees to see which one straightened better and they both did a great job, though the GHD's left my hair a little softer, my hair always catches in the plates which sometimes split my ends as I pull away. The Diamond flat iron's plates seemed a little wider too, covering more hair as they went! On a daily basis I curl my hair with straighteners for a wavy look so I was hoping that the flatter shape of this gorgeous red pair wouldn't affect how bouncy my waves usually are- and it didn't. The below photos of me are my hair waved/curled and straightened by the Diamond Flat Iron. I love that it lets me choose what temperature I use, and counts down by degrees when it's too hot to let you know the temperature. They came with a little leaflet that says the ceramic plates cool by -40F when touching your hair which is such an awesome and unique feature! 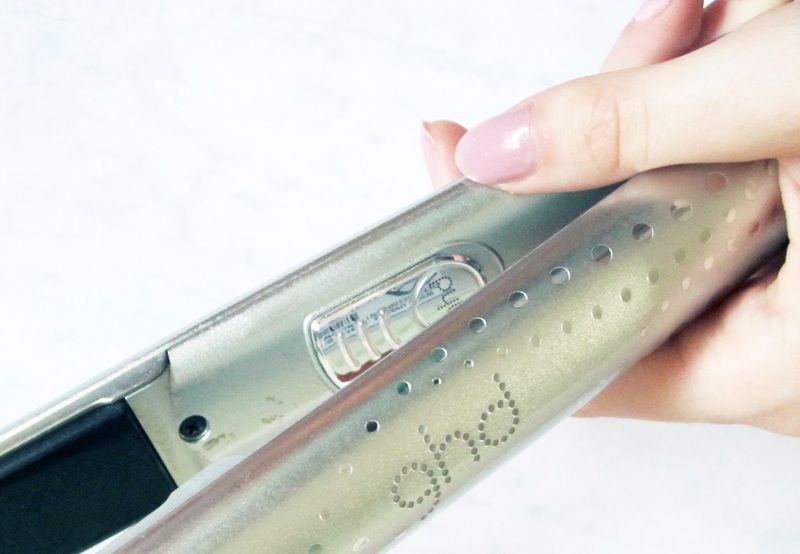 I'm not sure if the GHD's do this but its' a feature I think all straighteners should have to prevent frying your hair to death, one of the main causes of snapped ends. Talking aesthetics, an easy way to know if they're turned on (ever been half way through straightening to realise that you accidentally turned them off?) is the green light strip inside, which increases in length the hotter they get. Apparently they're also eco friendly which you KNOW I love, hippie life forever! 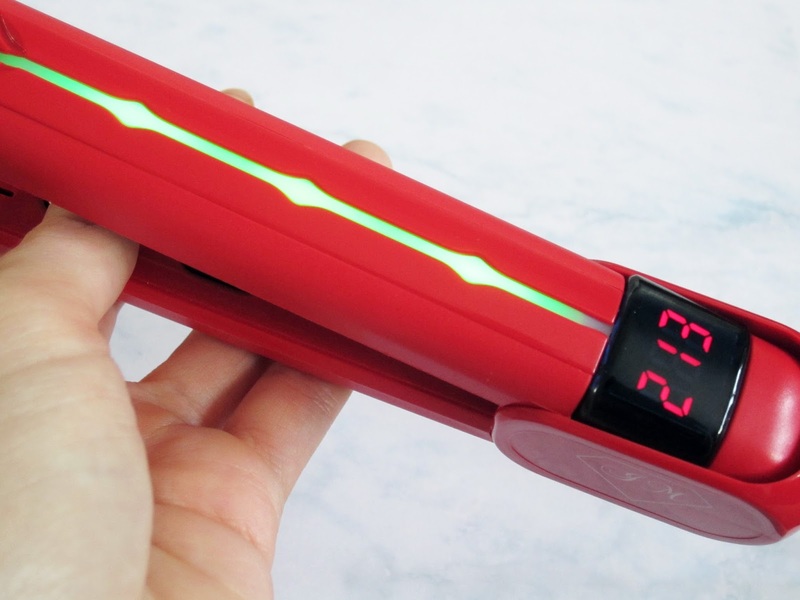 GHD have a little beeping mechanism which lets you know when they're hot enough but is easier to accidentally switch off without noticing during use. Both turn off automatically if unused so there's no worrying about burning the house down as you skip off to work. So, I feel that both of these tools do the same thing just as well as each other but personally, I prefer the Irresistible Me pair because of the grip and temperature control. My curls lasted all day which I'm so happy about! For delivery I waited a week which is fab since they've come all the way from America (oh, you need an american adapter but they automatically adjust to any voltage plug) but Sarah from See The Stars only waited three days. GHD have competition, I'll definitely be trying out some more of Irresistible Me's styling range in the future! 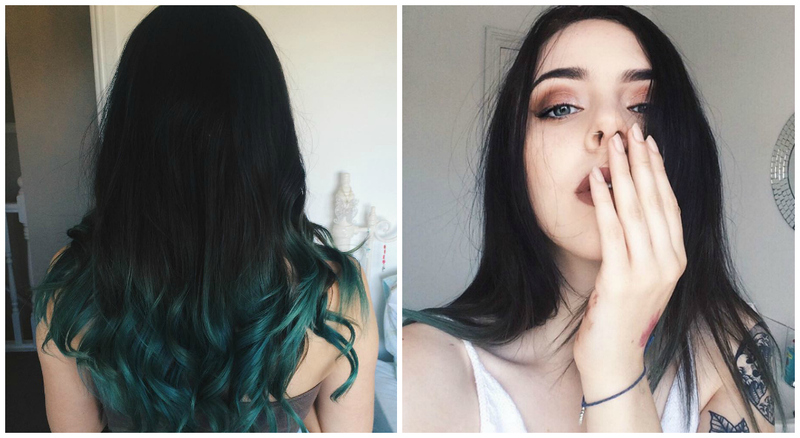 How do you like to style your hair? Do you think you'd make the switch to these? *this post contains a product or sample sent to me, but all words and opinions are my own.